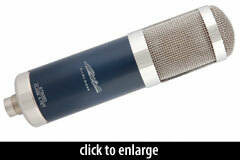 The ST6050 “Allen Sides” is the first microphone in Sterling Audio’s Signature Series. It is a premium FET condenser voiced by Allen Sides of Ocean Way Studios, designed primarily for studio vocal applications. I don’t think there’s anything commercially available, at any price, that’s better than what this microphone is. The microphone’s capsule is a center-terminated design, specified as “1'' diameter” with 8-micron Mylar diaphragms. The backplate design has not been specified. The mic has an output transformer. High consistency in the sound of this microphone throughout a production run has been ensured by enforcing tight tolerances for component selection and manufacturing processes. 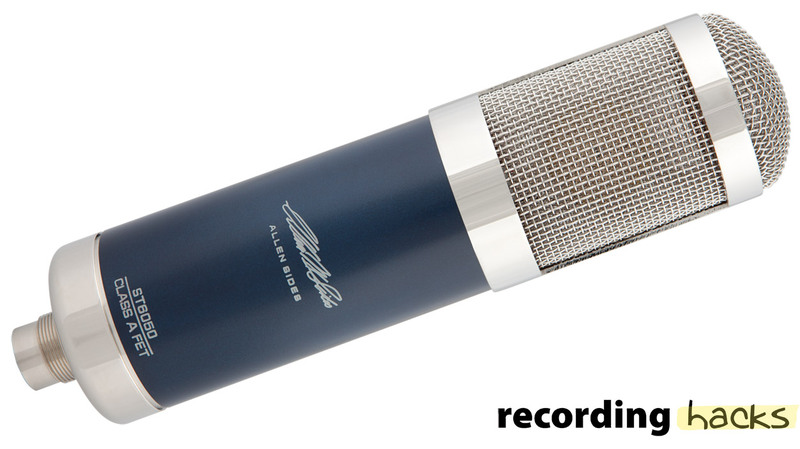 The rear of the microphone body shows Allen Sides’ signature. The ST6050 includes a foam windscreen, a velvet-lined oak storage box, and an elastic shockmount (p/n SM7-N). The Sterling Audio ST6050 is also known as: Allen Sides.